How do your competitors view your strengths and weaknesses? I’ll never forget the level of frustration I felt a few years ago when I arrived at my monthly meeting with my mentor. My team and I had pitched for a major deal, attended meeting after meeting following the pitch, and were then shortlisted for the final round where we had to present once more. At the final presentation one of the awkward questions we were asked was to define why we were better than the other two finalists. What does company A actually do? What makes company A better than company B? What are company A’s weaknesses? What should company A be concerned about? You’ll be surprised by the information you evoke by doing this exercise. Too often entrepreneurs suffer from ailments of drinking too much of their own marketing kool-aid, and as a result become blinded to not only their weaknesses, lack of competitive edge and product flaws, but also ironically end up failing to identify and highlight their less conspicuous strengths, competitive edges and product benefits. Entrepreneurs often follow a mechanical routine of only selling the strengths that are listed in their “marketing brochure” to investors or clients, and very often forget about their other strengths, which their competitors are all too aware of and have listed as notable threats. As a business owner, you should be selling and driving all of your strengths even if they are not all listed in your brochure! When planning your next pitch, don’t be focused solely on the script of your marketing brochure. 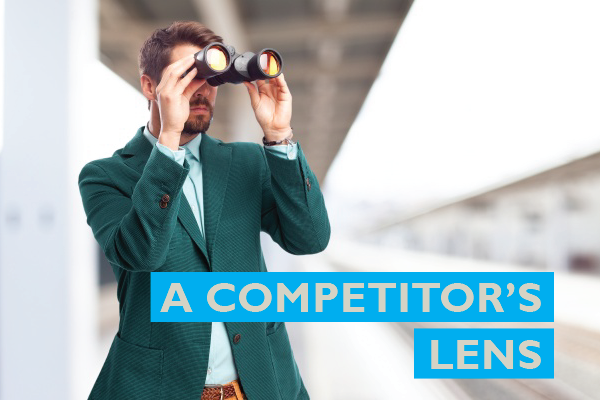 Spend the day in your competitor’s shoes and use this new lens to identify and list your strengths and weaknesses as your competitors may view them. This is vital information that must be added to your next pitch.